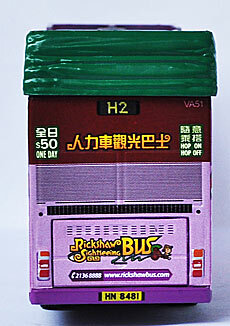 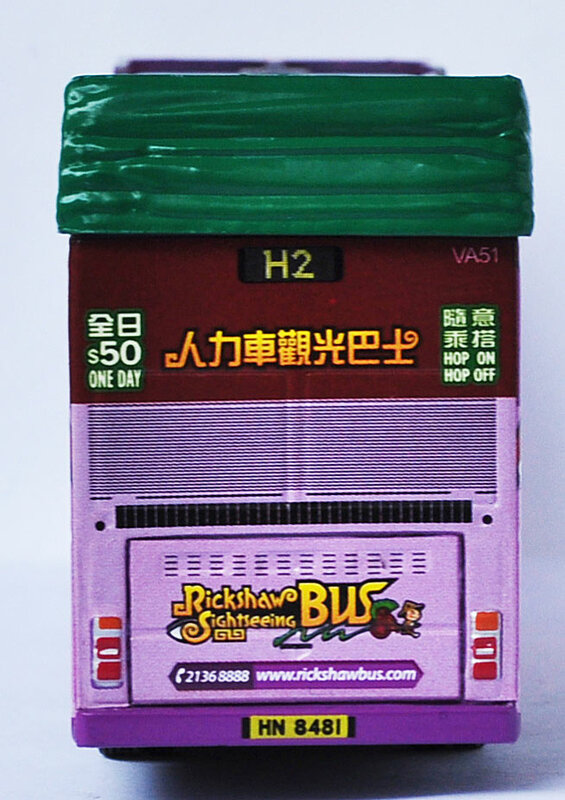 The model - news of this model was received on 3rd August 2011 and it was released in Hong Kong on Monday 15th August. 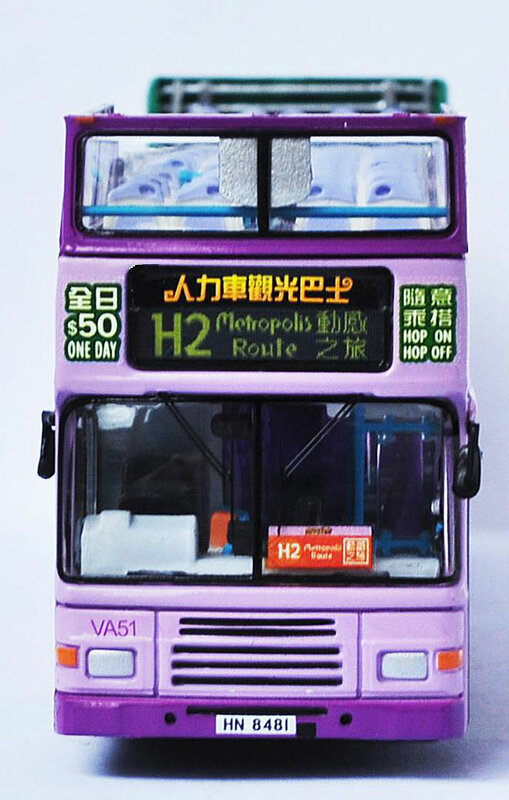 VA51 has been modelled in its original China Motor Bus livery by Best Choose, both at 1/76th scale (09761) and 1/120th scale (06202). 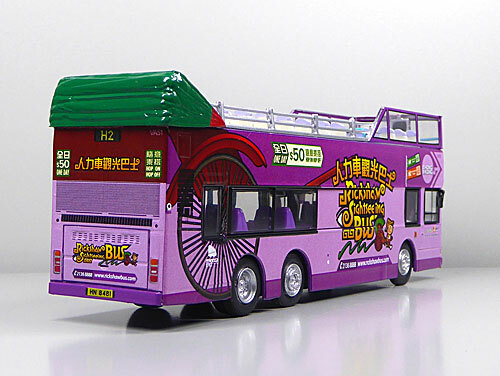 Whilst the box states it is a product of 80M Bus Model Shop, the base plate is stamped 'Cars'. The bus - VA51 was one of the last batch of 14 Volvo Olympians to be delivered new to China Motor Bus in early 1998. With China Motor Bus losing its franchise to New World First Bus in September 1998, VA51 passed to the new company. 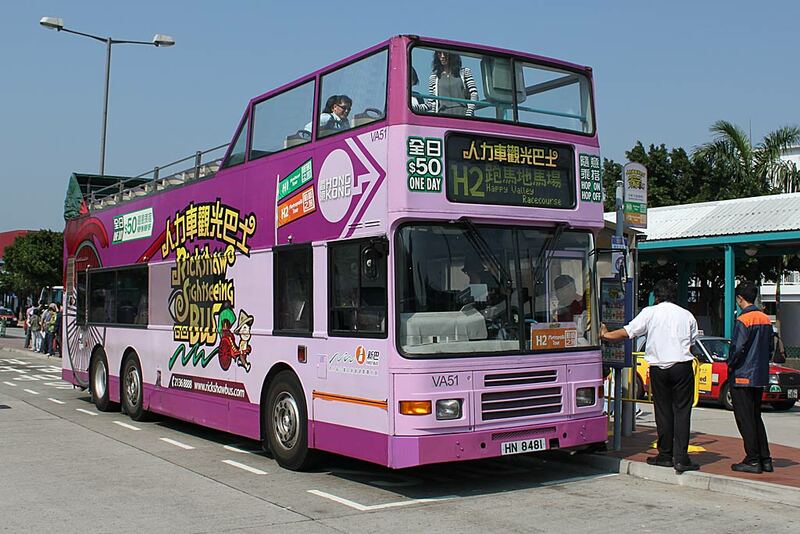 In July 2009, work commenced to convert it and sister vehicles VA52 - VA55 to open top. 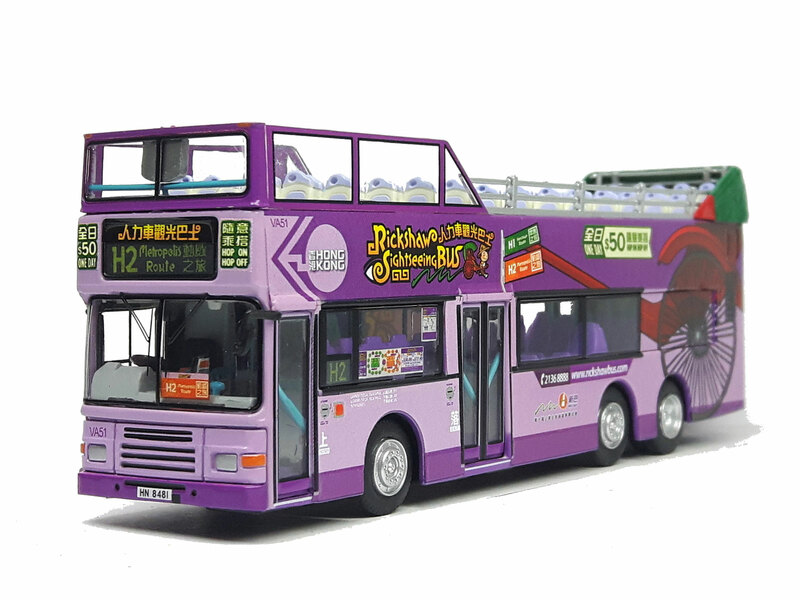 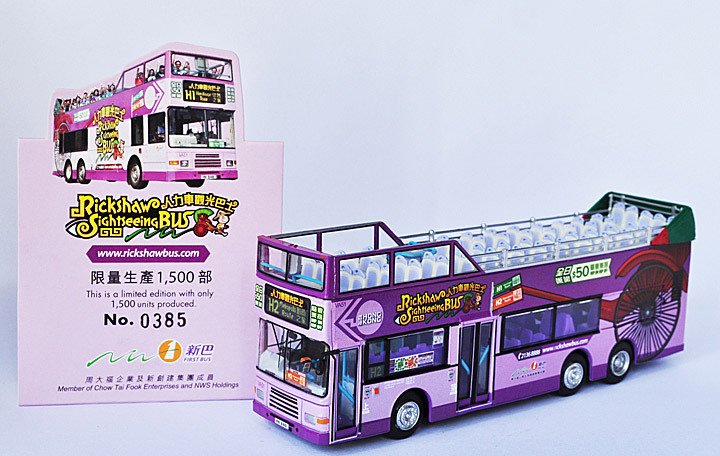 All five vehicles re-appeared in October 2009, carrying a striking purple livery, to mark the launch of the New World First Bus 'Rickshaw Sightseeing Bus', aimed to compete with the Big Bus Company's sightseeing tours.